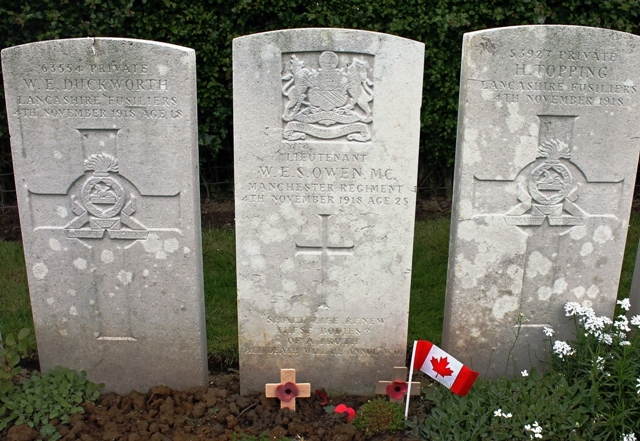 Wilfred Owen was shot dead during a madly brave and stupidly pointless fight in the very last week of WW1. Flanked on either side by Private W.E. Duckworth and Private H. Topping, both of the Lancashire Fusiliers, Lieutenant W.E.S. Owen, Manchester Regiment lies not far from the canal he died trying to cross, shot by the German troops on the opposite side of the water. Earlier that day a group of us, staying in Arras, had met Jacky Duminy, mayor of Ors, a village in Northern France on the ‘Western Front’, at Maison Forestiere. 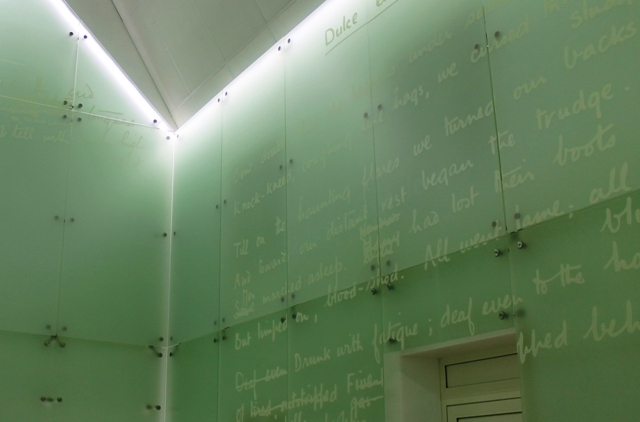 M Duminy has been the driving force behind getting this unique art work established to Wilfred Owen, “… not a museum, not a memorial, but a quiet place for meditation, reflection and poetry”. On a quiet tree-lined road between P0mmereuil and Ors, the stark white building stands out in solitary remembrance. It is here the poet and fellow soldiers of the 2nd Manchester Regiment, rested on the night of October 31st, 1918, while plans were being drawn up to attack the nearby German troops. 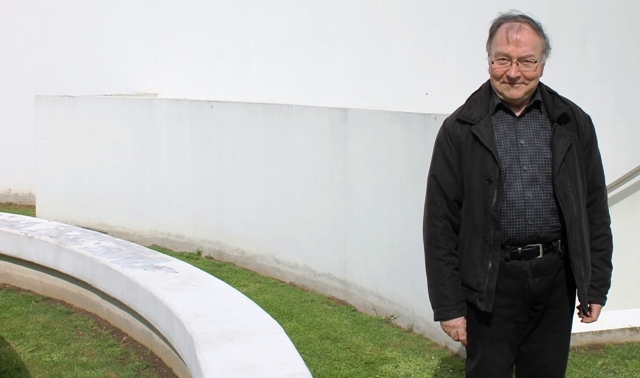 The Wilfred Owen Forester’s House has been transformed into an art installation by British visual artist Simon Patterson in collaboration with French architect Jean-Christophe Denise. M Duminy led us down via a circular path into the cellar where Owen sheltered with over 20 fellow soldiers. Inscribed on the white wall is a quote from his last letter to his mother, including the very poignant words, “There is no danger here, or if any, it will be well over before you read these lines.” He was shot on November 4th and his mother got the news of his death on November 11th 1918, the day WW1 officially ended. 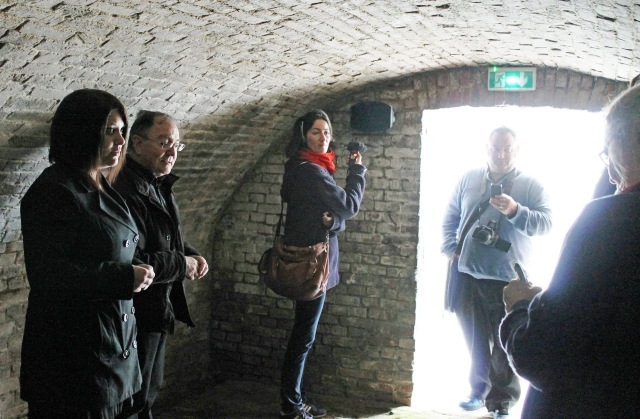 With 10 of us squeezed into the brick arch-roofed cellar it was fairly cramped. On that night in 1918 many more were squashed in, but they seemed in good spirits as they knew the war was nearly over and hoped soon to return home. Kenneth Branagh’s voice came etherally over the audio system, reading out his letter. As a mother and ex English teacher who tried to inspire teenagers to appreciate war poetry through Wilfred’s Owen’s raw verse, I found it extremely moving. From here we went back up into the main part of the house, now a white shell, with Owen’s most famous poem, ‘Dulce et Decorum Est‘ engraved across one wall. 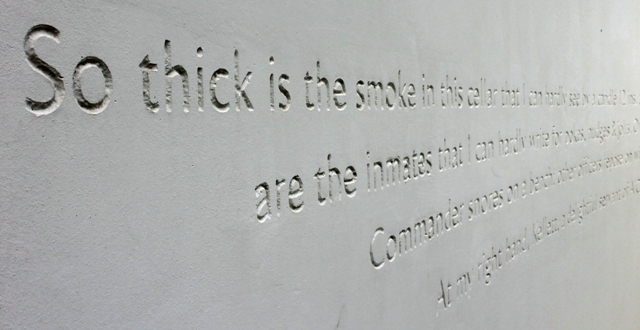 A continuous loop of his war poetry is read out in English and French, lines projected onto the walls. Slowly everyone tuned into the reading, the calm atmosphere and the evocative voice speaking of horrors from a hundred years ago. Eventually we emerged onto a little lane that led us across a railway line to a sign saying, ‘Tombes de Guerre du Commonwealth.‘ Five minutes later we found the ‘Ors British Cemetery’ with neat rows of 107 white military gravestones and a simple cross. 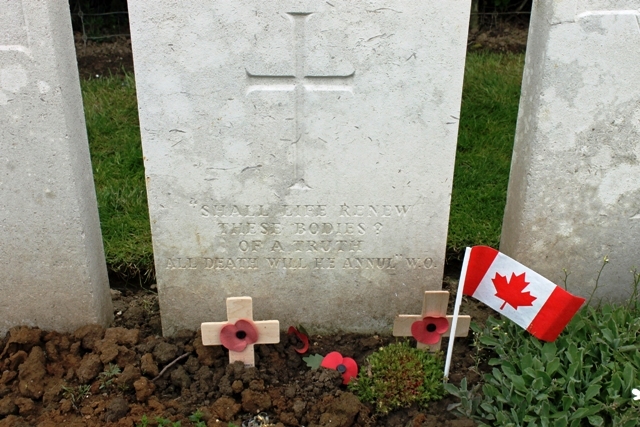 Here are buried many of the victims of the nearby battle at the canal, the youngest being only 17 years old. A trio of guys had set up fishing rods nearby and a few baguettes leant against their big green umbrella. A girl in lycra ran past, a woman walking her dog said bonjour. All so normal, everyday and peaceful … Is it fanciful to hope those young men somehow know how their deaths were not totally in vain? 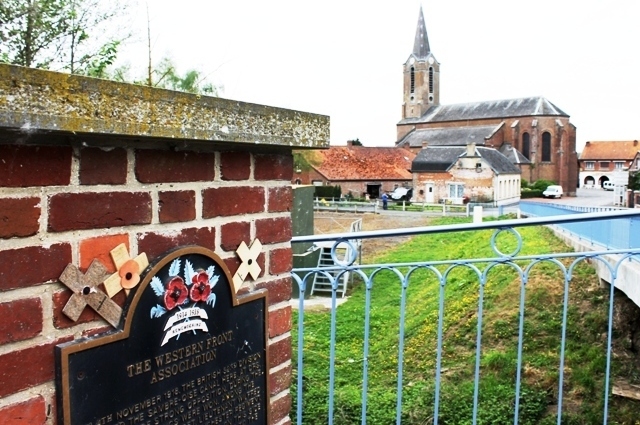 From here we walked on past the Western Front plaque, telling the story of Ors’ wartime travails. It has a quote from Owen’s ‘With an Identity Disc’. M Duminy told us how the village, on the front line, was badly bombed in both world wars, though many of the buildings have been beautifully restored. Finally we arrived at Ors Communal Cemetery. 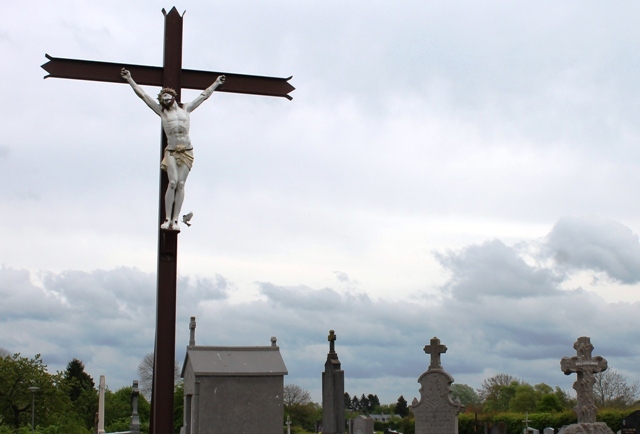 In the entrance a huge crucifix towers over the many family graves. Hidden at the back, in a plot of land that is forever ‘home’ is the resting place of a 25 year old young man who, along with a handful of other poets, managed to convey, in searing language, a little of the reality of one of the world’s worst conflicts. We travelled to France with with Northern France Tourism and stayed in the Hotel d’Angleterre in the historic city of Arras. 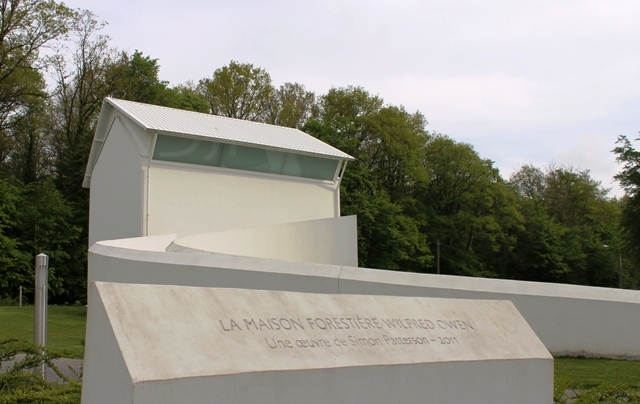 For more information on the Maison Forestiere in Ors click here to download the Wilfred Owen trail. During this weekend trip we visited a huge French military cemetery (biggest in the world) which was a complete contrast to the simplicity of Ors. Read about Notre Dame de Lorette here. This trip really brought home the reality of what fighting in WW1 implied. Seeing tha short distance across that canal and realising just how close the battle was, created a lasting impression. That it was so tranquil with people going about their daily lives was a powerful reminder of what these men fought for. Seeing the place where Wilfred Owen wrote that last letter home was very emotional. It’s the small details that bring to life such a huge world event. The other thing that struck me was the size of the cemeteries we saw on that day. The huge war grave cemeteries can be a overwhelming; these 2 were small and somehow more personal It’s a 100 years since the start of WW1 and this trip is ideal to get a glimpse of what that that conflict meant. Thanks very much Grant. I enjoy sharing stories and tips for quirky travel. This particular ferry trip to France was very special and will stay in my mind for a long time. I hope you get to visit some of the places mentioned here. I did not know much about WW1 but reading this blog was great info not only on the war but the man himself. What a fascinating trip – I always find that seeing these places yourself really brings their history to life. Something everyone should try and do at some point to appreciate all the sacrifices that were made for us to have our freedom. What a fascinating and moving post Zoe, thank you. What an exciting journey into the past! I enjoyed reading this. Thanks for sharing. Glad you enjoyed it Mary. It was a very fascinating and wonderful insight into World War I. Beautiful. I remember reading one of his poems at school and feeling very, very moved. 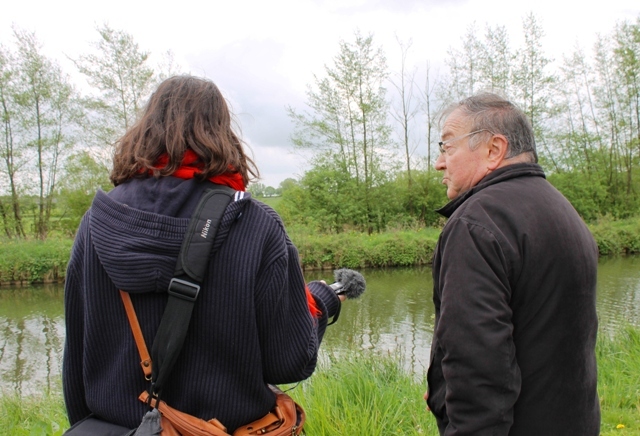 Thanks Abi – it was a really emotional visit; the house and walk bring the reality of what Owen wrote about into some sort of focus. 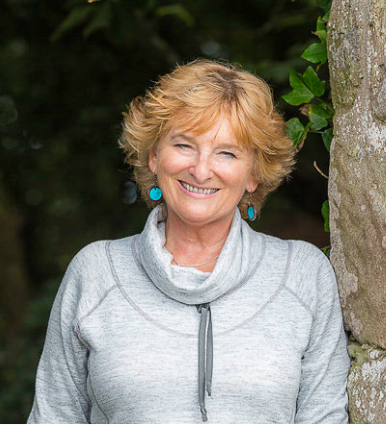 Thank you for creating this evocative blog post Zoe. I picked up a brochure on the Wilfred Owen trail somewhere, probably WTM and thought it’s close to Brussels and I should head off there one weekend. This is a great reminder to do just that especially since he was born just over the border from my birthplace. Having read both Robert Graves’ and Siegfried Sassoon’s accounts of the First World War is one more reason for me to visit. One of the great poets of the 20th century. One of the greatest to ever pen the futility of war. Good story. 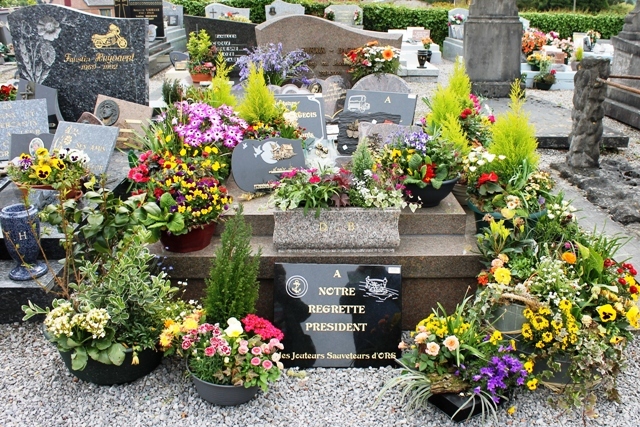 Mercie Marc – so agree and think it is wonderful of this French mayor to go to so much trouble to commemorate him. It’s a lovely, moving, interesting walk John. 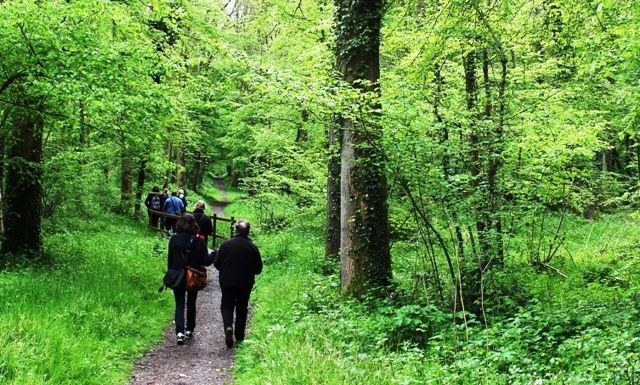 Make sure you start by visiting the Forestiere House first and take a good map as the arrows on the trees in the forest (when we did it in May 2014) were not very clearly marked at times. Let me know what you think when you do it.